Last September 17, 2016, Crepes Delicious opened its first franchise business at SM-Molino with Myrtle Sarrosa gracing the event. Barely a year after the success of its flagship store in Sta. Rosa, Laguna, owner/entrepreneur Shirley Castillo-Dumilon's crepes business is flourishing with numerous franchise inquiries. 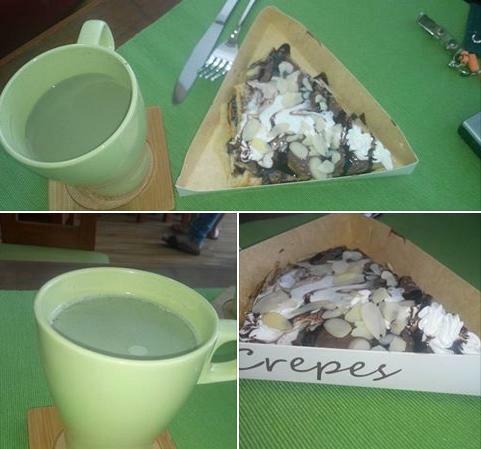 Crepe Delicious has taken notice that more and more people are consciously opting for low-calorie, and nutritious food. Shirley wanted a new food concept to venture into and since she loves healthy food options like crêpes, she decided to open the first crêpes business in Sta. Rosa. The demand for the healthy food sells, hence Crepes Delicious drew massive crowds. The rest is history. And Myrtle is just perfect ambassadress for Crepes Delicious. As the model youth that is fresh, smart and full of life, Shirley is positive that Myrtle exemplifies the brand that promotes nutritious food options. As the French version of pancakes, crêpes offers fresh, healthy alternatives to fast food. Crepes Delicious has all wonderful healthy crepe options created and tested in Shirley Castillo-Dumilon's kitchen for health-conscious people to enjoy and indulge in. Catch Myrtle Sarrosa at the grand opening of Crepes Delicious at SM Calamba this September 24 (4PM) and at Festival Mall grand opening this October 1, 2016 (4PM). These two stores will be the latest addition to Crepes Delicious’s briskly expanding nationwide presence.